As such, I’ve never really thought I’d be one to ever own a pair of Bluetooth speakers. 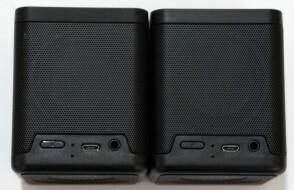 Sure, there have been times when my colleagues have pointed out to me that they constantly use their portable speakers when traveling or at the beach, but as far as travel goes, I’ve never considered that someone else might want to hear something I’m watching/playing on my phone/computer that cannot be heard comfortably while using the integrated speakers. In that case, that’s what audio splitters are for, right? Additionally despite living in sunny San Diego, which is primarily composed of excellent beaches, I have an innate hatred of sand, so I never go to the beach. 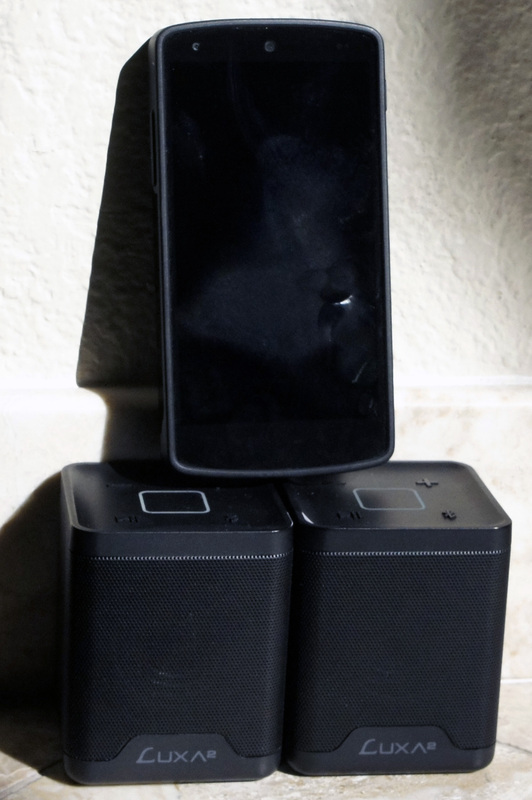 Although I’ve never thought I’d ever need Bluetooth speakers, I was interested in seeing what kind of practical use I might find for such speakers, so I was quite glad when LUXA2 sent me their Groovy Duo Live Wireless Speakers for review. The premise for the LUXA2 Groovy Duo Live is pretty cool. Unlike most speakers that are designed to be used individually, the LUXA2 Groovy Duo Live comes in a pair that can be used independently or together. 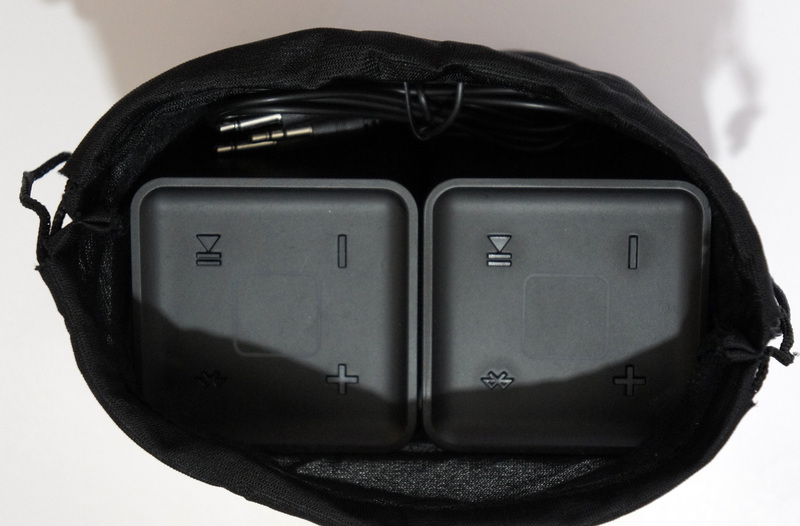 Connectivity is handled via 3.5mm audio connectors or a Bluetooth connection and each unit includes a battery which allows for ~8-10 hours of playback. 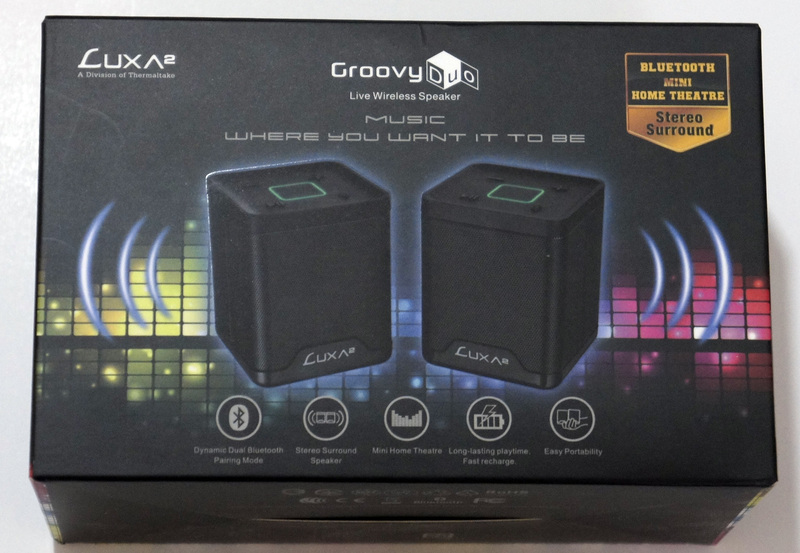 Here’s a look at the packaging for the LUXA2 Groovy Duo Live. 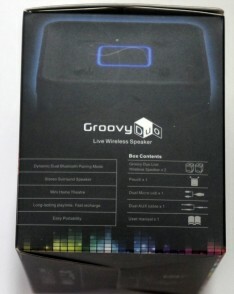 The front of the retail packaging for the Groovy Duo Live mentions a few of the features. The side of the retail packaging details the contents of the box. The Groovy Duo Live, cables, quick start guide, and drawstring carry bag all laid out. The Groovy Duo Live set and cables fit nicely inside the drawstring carry bag. 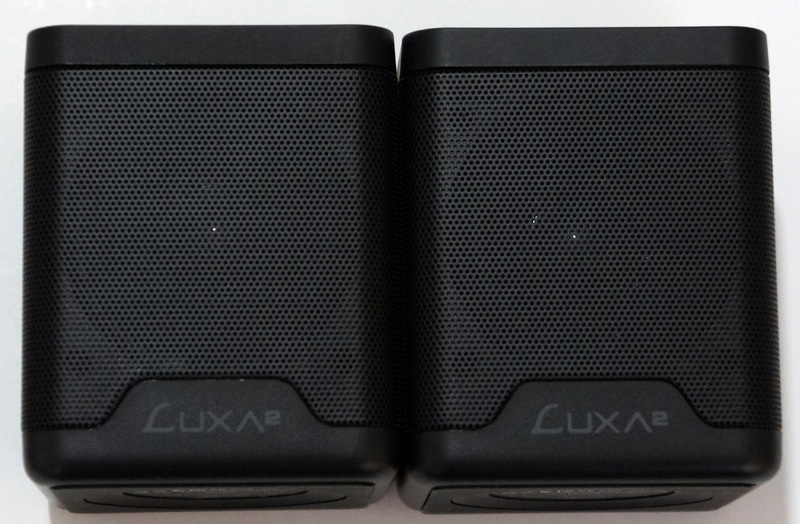 Here’s a closer look at the LUXA2 Groovy Duo Live. 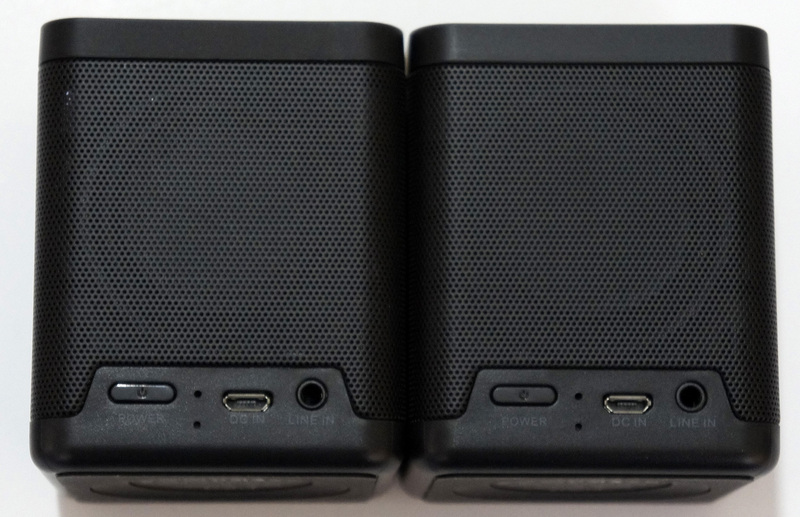 In terms of design, it’s a relatively small, relatively basic pair of speakers. 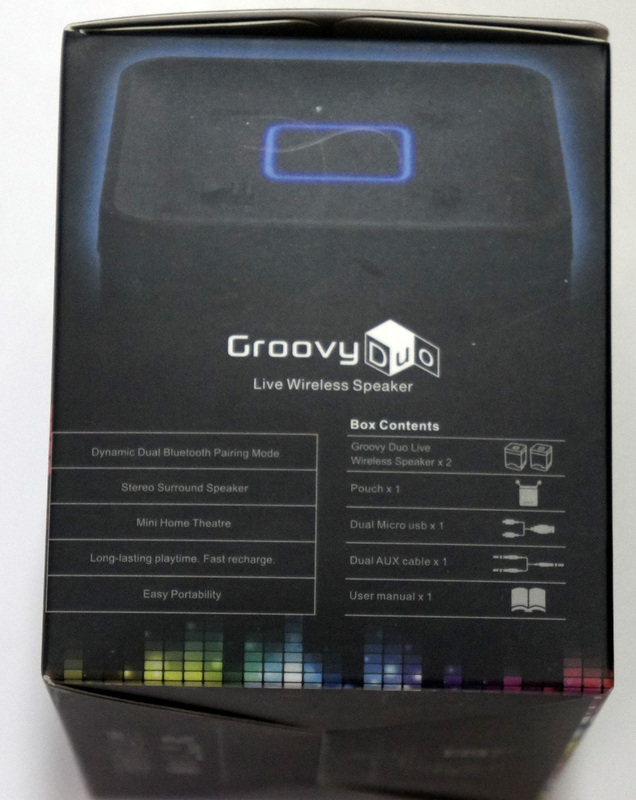 The rear of the Groovy Duo Live includes the interface for the speakers comprised of the power button, microUSB charging port, and 3.5mm audio out port. 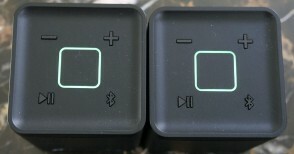 The controls on the top of the Groovy Duo Live speakers are obvious and easy to use. The tops of the speakers light up green when on and paired with a device over Bluetooth. Hooking up the LUXA2 Groovy Duo Live, I found that the speakers were very easy to use. 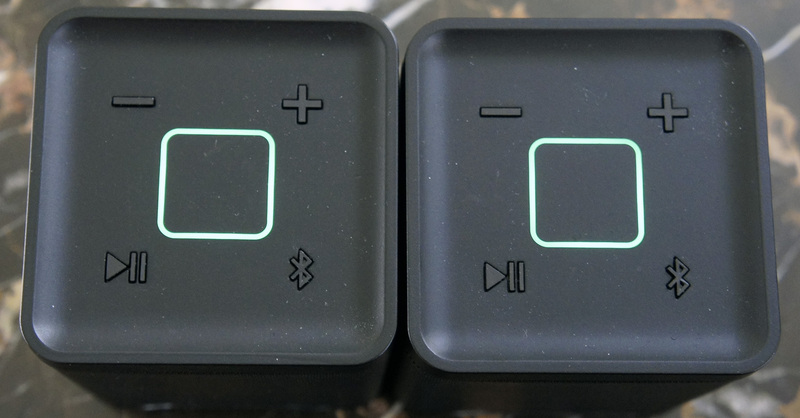 Pairing them together over Bluetooth was ridiculously straightforward, and pairing them to a device such as a phone or computer over Bluetooth was as simple as pairing any other Bluetooth device. Of course, you can also connect to the speakers using the traditional 3.5mm audio cable. LUXA2 includes all the minimum cables needed to get started with the Groovy Duo Live as well as some extras. I didn’t have too much use for the split 3.5mm audio cable beyond its intended purpose, but I made good use of the split USB to dual microUSB cable for charging my phone and battery backup simultaneously. Of course, it does a good job charging both speakers simultaneously as well. 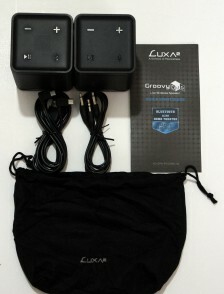 Since I had planned to go on a Caribbean cruise a while back, I figured bringing the LUXA2 Groovy Duo Live along for the ride would be a perfect way to test its capabilities. 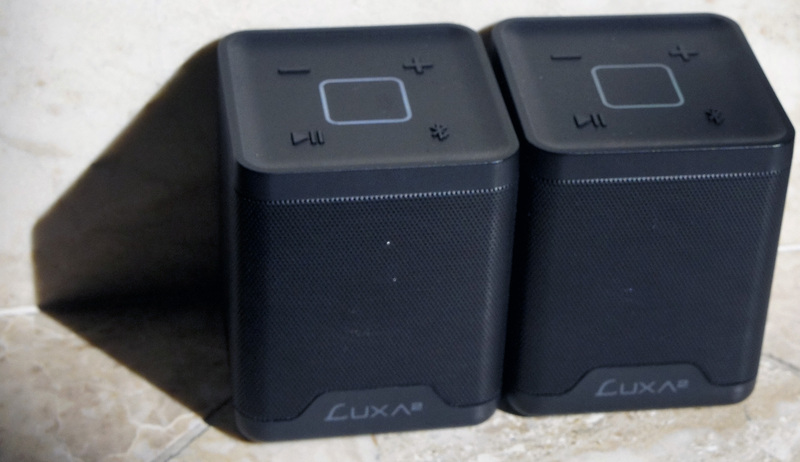 While I’ve generally written off Bluetooth speakers as nothing than a mere novelty, surprisingly once I got on the cruise, I discovered that the LUXA2 Groovy Duo Live was far more useful than I initially thought. First, I tested the speakers by using them for listening to music on the balcony of my cabin. After trying to play music on my laptop without the speakers, I quickly realized that laptop speakers were far too weak for an enjoyable experience as the sound of the ocean easily drowned out my laptop’s speakers. Once I hooked up the LUXA2 Groovy Duo Live however, I was able to enjoy sitting on the balcony while listening to music at an audible level. I also used the speakers extensively to hook up my laptop to the television, and rather than using the TV’s integrated speakers, I was able to keep the LUXA2 Groovy Duo speakers close to me and listen at a reasonable volume so I didn’t disturb anyone else. 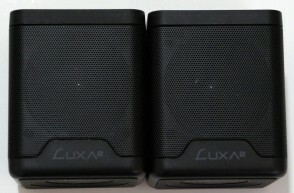 The LUXA2 Groovy Duo Live was also great to use as individual units. 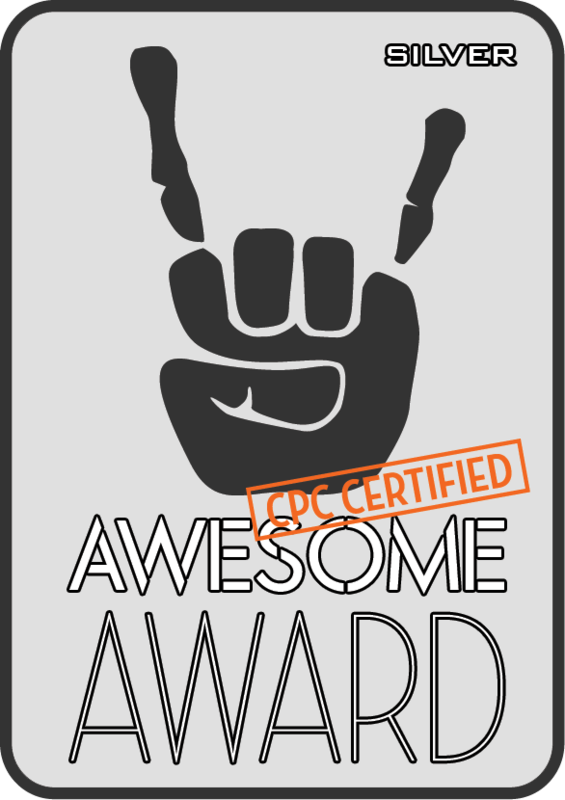 I lent one out for a family member to use while I kept using the other. Obviously given the size and the battery powered nature of the speakers, they don’t compare to a typical mid-range desktop speaker system, but they’re very good for what they are. They definitely have presence in the lows, but they also don’t overemphasize the lows as many (poorly designed) well known speakers and headphones often do, and the mids aren’t completely lost, which is something that tends to disappear in consumer speakers. In general, the LUXA2 Groovy Duo Live produce sound that is relatively balanced although slightly heavy on the lows. The audio is fairly clear and have the ability to get quite loud – louder than I’d personally want or need in most situations, but not loud enough for those metal-deprived fish (haha). One issue I did notice however is that although the LUXA2 Groovy Duo Live performed very well through most testing, I did find that the speakers cut out and skipped audio a few times when connected to my laptop via Bluetooth. I’m fairly inclined to chalk that up to iffy drivers for the Intel AC 7260 WiFi card in my Lenovo Yoga 2 Pro though, since I’ve had issues with it before. 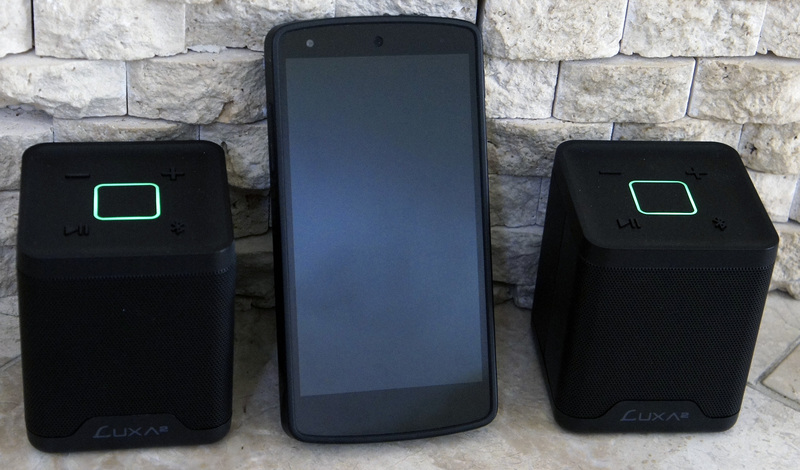 The speakers however, did work perfectly fine when connected to my Nexus 5, so your mileage may vary depending on the host device. Overall, I found the LUXA2 Groovy D uo to be very well built and provide great versatility that served me quite well on my vacation. They currently retail at $79.99, so they are slightly pricey, but considering the features and quality of the speakers, it’s not too bad. 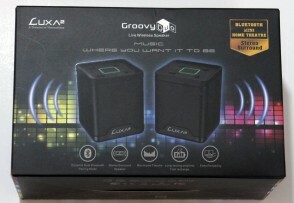 For anyone looking to purchase a set of decent wireless portable speakers, I’d say the LUXA2 Groovy Duo Live are a great choice. For more articles by Ryan, check out his site – Not Operator, where he writes about tech, games, guns, and everything in between. Ryan Glovinsky graduated from UCSD (University of California San Diego) with a B.S. in Computer Science. He currently works as a software developer by day, and manages and writes for Not Operator the rest of the time. He is a tech and PC enthusiast, and has written for publications such as Bright Side of News and VR-Zone. He is also an avid firearms enthusiast.